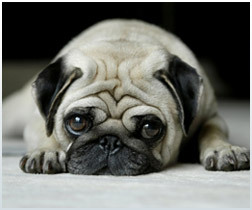 However much we love our pets, there stains and odors are unpleasant to look at, and nasty to smell. So what do you do after there’s been a 'little accident?' Call Manhattan Carpets. Our expert technicians use special machinery, environmentally-friendly cleaning solutions and deep-cleaning techniques to ensure your stain and odor are eliminated for good. And we'll apply a deodorizing agent afterwards, to give the room a fresh smell! We offer a 100% guarantee on all of our work and customer care is our middle name. Don't let your pets ruin your day – call today!